An Internet directory is a good way to discover and locate many talented watercolor artists. It provides links to artists with websites where they have information about their art, pictures of their work, their location, and perhaps their biography. Artists express personal experiences in their art. They communicate information to the viewer across generational divides. Art speaks to the viewer regardless of language or culture. Artists are often recognized by their painting style or subjects. Large work or intense colors may be their trademark, or they may choose to paint in an abstract style. Some artists paint only portraits or animals; others paint landscapes, city scenes, boats, cars, or even detailed botanical images. 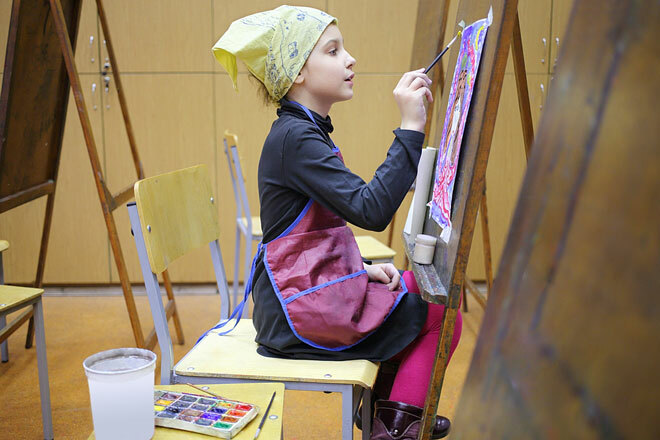 Artists may have attended college and have fine arts degrees; others are self-taught over many years, learning through private study or workshops. Many artists teach their craft to others. Alampi Art Studio is a home based gallery of realistic paintings that exemplify our rural South Jersey region. A large selection of limited edition prints are also available. Inquire about watercolor classes and workshops. Call for a visit to Alex’s studio and gallery located in the beautiful country setting of Pilesgrove township. British Artist. Alan Reed Studio and Gallery. This Montana artist uses light and perspective when painting the human figure. Her work has appeared in numerous exhibits and shows. This New York City artist has focused on painting bridges in the city and elsewhere. Professional artist who works primarily in oils. Has studios in Beijing and Tuscany. Workshops worldwide. Beaches, birds, and bogs in watercolor by Linda Meyer Browning. Beaches, boats, and bogs in watercolor by Dixie Burrus Browning. Buy Original Watercolor Paintings and Giclee Fine Art Prints at the official website of Michigan artist Michael Shea Jr. – 12 Color Open Edition Giclee prints and Original watercolor paintings are accompanied by a certificate of authenticity and both are signed and numbered by the artist. Studied watercolor at Saddleback College. Art major at the University of Utah. Carrie Waller paints luminous still life paintings. Christine Reichow, creates bird, floral and landscape paintings. Intrigued by color and subtle value changes. This AWS, NWS artist seeks to paint an image on a two-dimensional surface and make it look as three-dimentionsl as possible. Well known for his figurative works, landscapes, and still lifes. Combines the luminous watercolor with etching line work for striking paintings. This site is for freelance artist Delbert Peterson who specializes in fine art painting and lives and work in Vero Beach, Florida. Denis is a member of the Royal Watercolour Society. He finds inspiration in the rundown urban landscape. Diane Tunnell is a watercolor artist from the Kona district of the Big Island of Hawaii.